Voice your opinion! 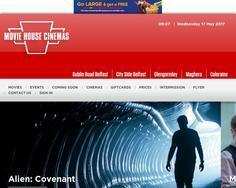 Review Movie House Cinemas now. Is Movie House Cinemas your company? Movie House Cinemas have five locations within Northern Ireland including Dublin Road Belfast, Cityside Belfast, Glengormley, Maghera and Coleraine.